The recent announcement of Uber’s car rental firm (Lion City Rentals) selling their un-hired fleet of cars after the American ride-hailing app service ceased operation in South-East Asia has disrupted the used car market. Most of the cars are very new with mileage of less than 50km. The cars (mainly Mazda 3 sedan and Honda Vezel SUV) bought by Uber in late 2017 are being sold at a loss of between $10,000 to $20,000 each. An almost new Mazda 3 is now selling for about $70,000 in the used car market which is a huge bargain for consumers. Thinking of taking advantage of this crisis to get a good bargain for your next car? Here are some tips you might want to take note. Uber’s fleet Mazda sedans are mostly bought from Authorised Dealer (AD) Eurokars. As such, most of them are bought back by Eurokars for sale under Eurokars pre-owned department. If you are buying the used car from the official Eurokars pre-owned department, you can be sure that the car mileage and condition is genuine. Besides, buying from an official pre-owned department usually comes with perks like warranty and servicing packages too. However, the downside is the price will be higher than other used car dealers. After all, you are paying more for the service and peace of mind. Although most of the cars from Uber are under-utilized, there is no guarantee that all the cars are genuinely low mileage. 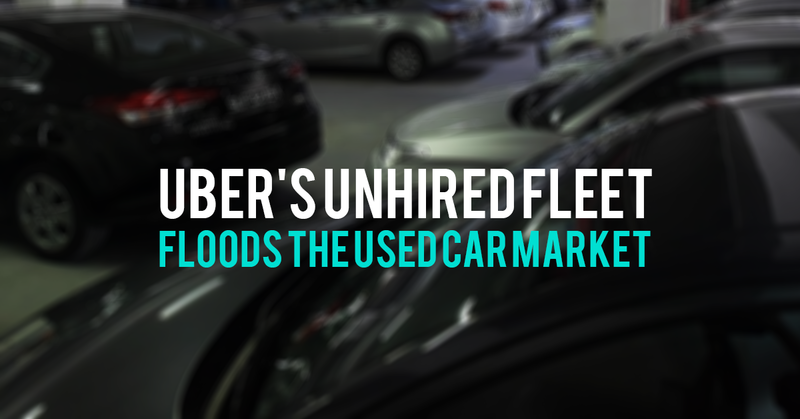 There are bound to be dishonest car dealers who tamper the car mileage and claim that it belongs to Uber’s un-hired fleet. So how can you check and confirm that the car’s mileage is real? First of all, if the car that is less than 2 years old and it is formerly bought from an Authorized dealer (AD) like Eurokars, they are most likely serviced by the authorized dealer workshop. Hence you can check with the AD for records on the last servicing to confirm if the car mileage is genuine. However, if the car is not bought from AD, you can check with the dealer if the previous owner has all the servicing record. If there isn’t, you would have to do due diligence check to see if there is any bad review about the used car dealer. If you need more assurance, the next thing you can do is to get the car checked by your trusted workshop. This is to make sure that the car undercarriage has no signs of accident damage or serious wear and tear. When you have decided on your car, the next thing is to look for financing options. At Speed Credit, we not only help you with car loan application, processing and approval, we also provide full administrative support for transfer of car ownership and all monetary transaction. We work with various banks and financial partners to provide the highest loan amount with lowest interest rate starting from 1.68% for used car loan. A good rule of thumb is that if you are getting the used car from official Mazda/Toyota/Honda pre-owned department, you generally do not have to worry so much about tampered car mileage. However, if you are buying from other used car dealers, the key to getting a good deal is to do your homework and find out who are the trusted car dealers. Ask around for advice if you have no experience in buying a used car. Unable to find a car that suits you in the used car market? Why not consider a brand new car from trusted parallel importer like Cars & Stars? A brand-new Honda Fit is selling at $72,888 and a brand-new Honda Freed is selling at $96,888 (with guaranteed COE). Call Cars & Stars sales hotline at 6585 5555 or visit the showroom at 50 Ubi Ave 3 (Frontier Building) #01-01/02 to find out more about the other car models available.